Demolition services include site evaluation and remediation of any hazardous materials, setting up a site access safety perimeter, selective demolition to ensure collapse onto contained area, site removal of construction debris and concrete slabs, walls and footings. Optionally we can provide fill for sites left with unsafe subsurface excavations. Your browser does not support mp4 video tag. The staff of BLI has been in the construction industry for 45 years performing residential, commercial, and light industrial construction. We provide construction and excavating services. The staff has been licensed as "Residential Builder" under the State of Michigan since 1974. We are fully insured. 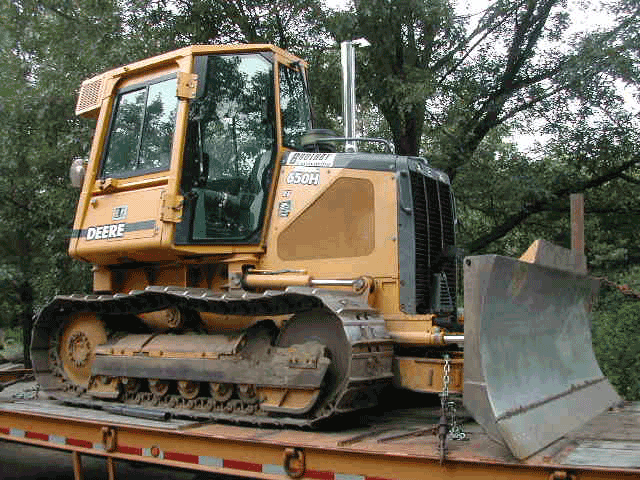 BLI excavating services include land clearing, site grading for buildings / additions / sidewalks / drives, swimming pool removal, trucking of earth materials, building demolition, septic systems, landscape preparation, and various other excavation services. With 45+ years experience, we can meet with you to provide various option and price strategies. Our goal is 100% customer satisfaction for every project. We believe strongly in the power of verbal references. For rough calculations for fill sand, 1 cuyd of trucked loose sand will yield approximately 25 cu ft of compacted sand at your location. Up to 15 cubic yds of earth materials per load. Use our Earth Products Delivery Calculator to calculate delivery costs. We can remove 1 tree or acres of trees / stumps from your site. Let us help you plan your next land improvement project!